Become an Annual Pass member today! You'll save 50% off your rentals at participating nationwide locations for an entire year! Plus, we'll throw in an extra half an hour on your rental the day you become a member. It pays for itself in one visit! What are you waiting for? Can’t get enough of us? Purchase an Annual Pass today – and save 50% for an entire year! The card pays for itself in one visit. For just a small fee, plus your full priced rental fee, you become an annual pass member which gives you 50% off all future rentals for one year. Plus, we’ll throw in an extra half an hour onto your rental the day you become a member. It’s easy. 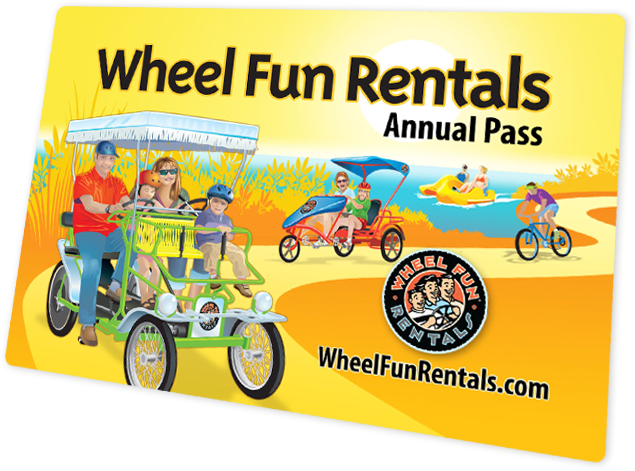 When you get to the rental kiosk, ask a Wheel Fun Rentals employee for an Annual Pass. They can easily process your rental at the same time. When you become an Annual Pass holder, you’ll get an extra half hour added to your rental the day you join, and 50% off all your rentals thereafter for a year. You can use your Annual Pass at more than 60 locations across the country! 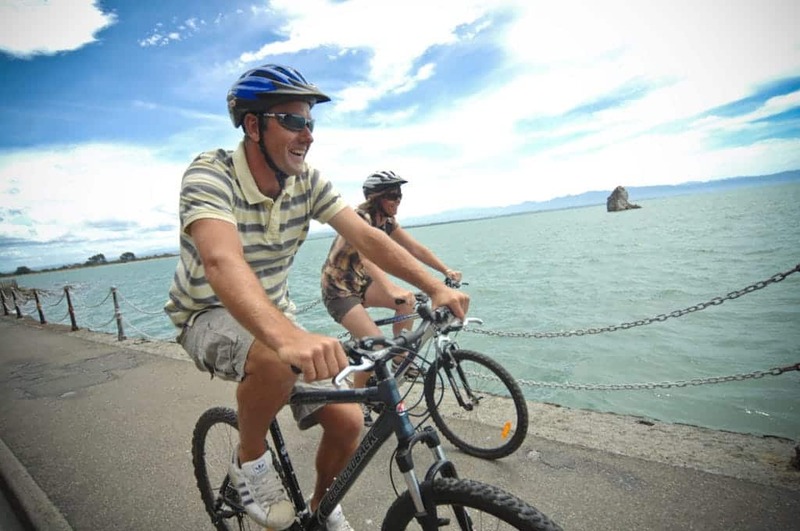 Just present your pass to any participating location for an automatic 50% off any one human powered vehicle. 50% discount is not valid on pass purchase day. Limit 1 card holder discount per day. No cash value. Not valid with any other offer. Cannot be used on Easter, Memorial, Labor Day, or 4th of July weekends (Sat., Sun., Mon.). In addition, in New York, the passes cannot be used during Passover, Rosh Hashanah, and Sukkot. By using the Annual Pass card, the cardholder agrees to all terms under which it was issued.